Ban type (What are you banned from? ): just playing. Ban reason and length:perma for killing a dude on shuttle. Server you were playing when banned : event hall. Your side of the story:killed a dude on shuttle for stealing a dud bomb, knew i was licked so i just said alright to the admin after a small chat which i dont remember and left. Ah, This was supposed to be a three day ban, I must of clicked the permanent button by accident and didn't catch my mistake. Since it already been three days since the original ban I will remove it right away. 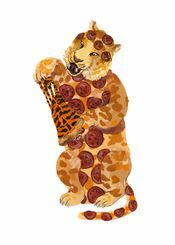 Seems like Pizzatiger made a mistake here, I'm glad it was sorted out. Resolved, so I'm locking the thread.